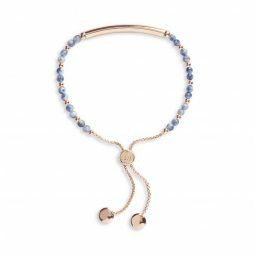 This engraved sentiment Signature Stone Friendship bracelet features pretty blue lace agate semi-precious stones with an engraved yellow gold sentiment bar – the perfect way to inspire every day. 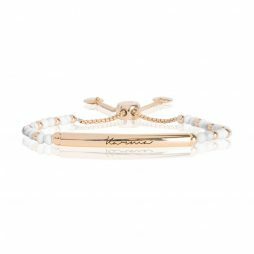 Joma Jewellery Signature Stones Karma Gold with Howlite Stones Bracelet. 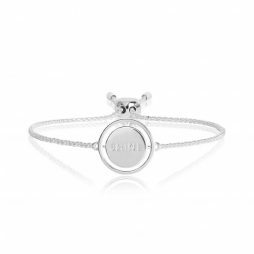 The beautiful Signature Stone Karma bracelet features pretty white howlite semi-precious stones with an engraved yellow gold sentiment bar – the perfect way to inspire every day. 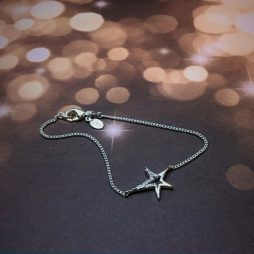 This spinning message bracelet ‘Shine’ features a smooth spinning disc, with the sentiment ‘shine’ on one side and an icon outline star on the reverse set on a silver plated adjustable chain bracelet with slider bead. 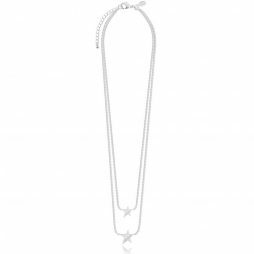 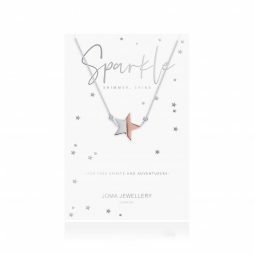 Joma Jewellery Split Sparkle And Shine Silver and Rose Gold Star Charm Necklace. 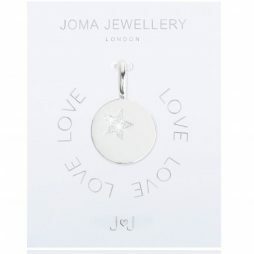 This brand new star two of a kind collection from Joma is simply stunning. 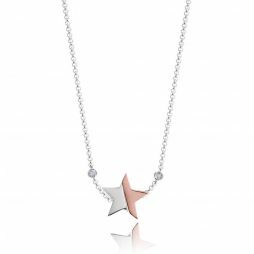 Threaded with a split rose gold and silver star, this Sparkle and Shine necklace is perfectly held within two clear CZ crystals on a silver chain. 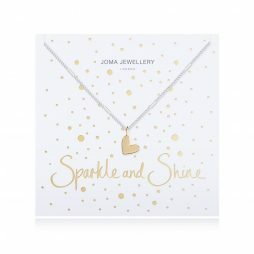 Joma Jewellery Sparkle and Shine Silver Necklace with Gold Heart Pendant. 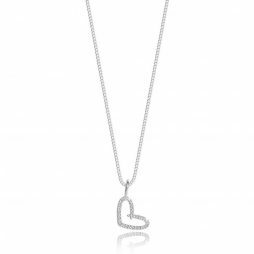 Featuring a stunning gold heart charm falling from a sparkling silver facetted ball chain necklace. 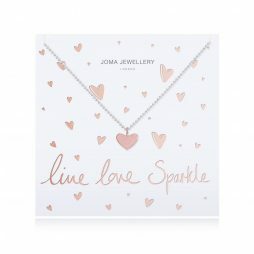 Joma Jewellery Live Love Sparkle Silver Necklace with Rose Gold Heart Pendant. 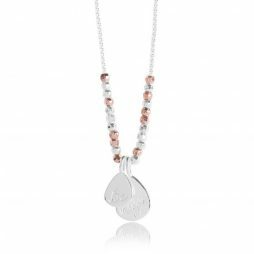 Featuring a stunning Rose Gold heart charm falling from a sparkling silver facetted ball chain necklace. 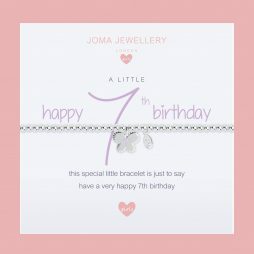 Joma Jewellery Caci Charms Be Happy Drops Bracelet Silver and Rose Gold. 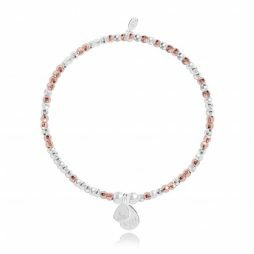 Two pretty silver plated drop pendant charm with the sentiment Be Happy fall from this lovely silver and rose gold plated faceted stretch bead bracelet. 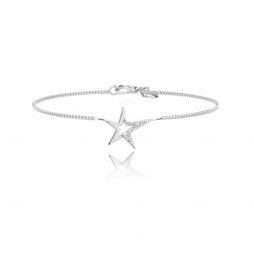 Sure to have you shining bright everyday. 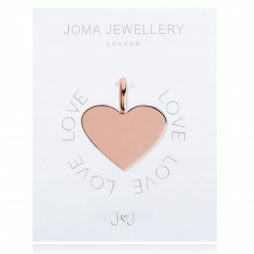 Joma Jewellery Caci Charms Be Happy Drops Necklace Silver and Rose Gold. 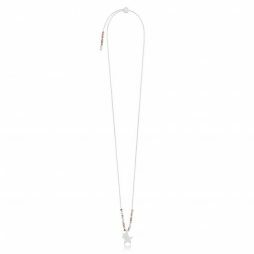 This beautiful necklace features two silver plated drop pendants with the sentiment Be happy falling from the pretty silver and rose gold plated faceted bead necklace. 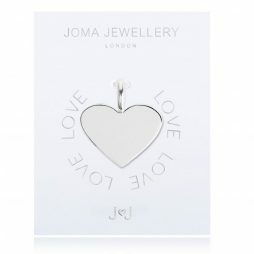 We love the clever adjustable design, making it easy to wear long or short depending on your mood. 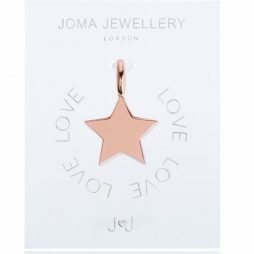 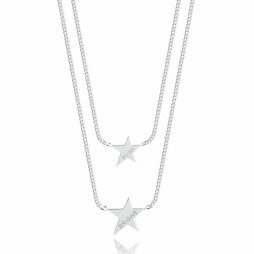 Joma Jewellery Caci Charms Shine Bright Stars Necklace Silver and Rose Gold – Adjustable. 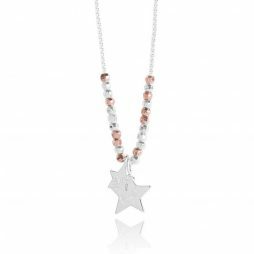 Two silver plated stars with the sentiment Shine Bright fall from this pretty silver and rose gold plated faceted bead necklace. 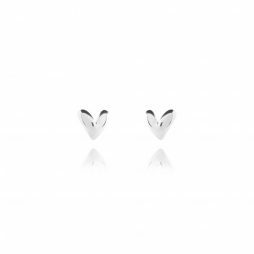 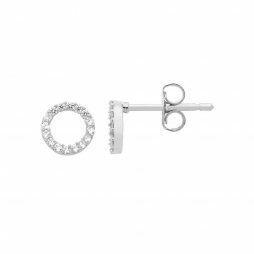 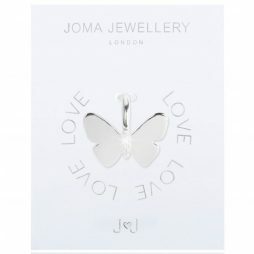 We love the clever adjustable design, making it easy to wear long or short depending on your outfit. 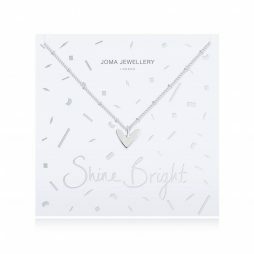 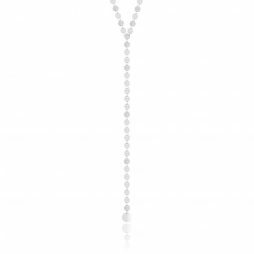 Joma Jewellery Fiji Silver Disc Chain Lariat Necklace. 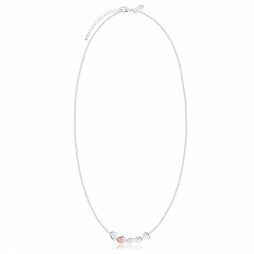 Prefect for wearing on holiday, this stylish Fiji lariat design necklace is finished in a shining silver plated detail of tiny disc’s that glimmer and shine in the sun. 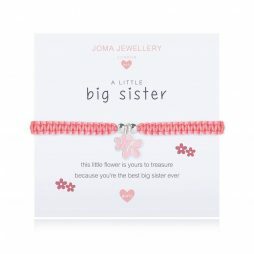 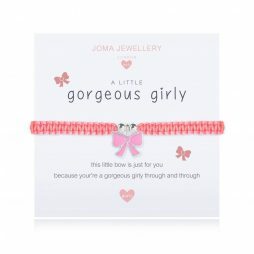 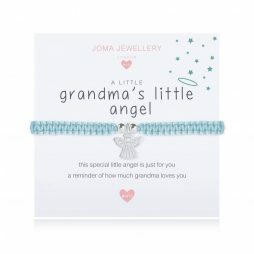 Joma Jewellery Mini Message Sliver Bracelet Happy Bee with Adjusting Slider. 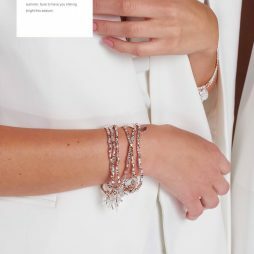 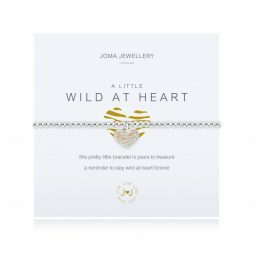 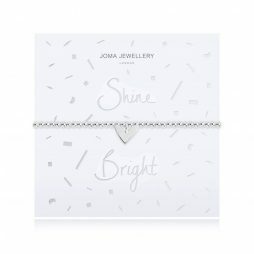 Introducing Joma Jewellery’s new iconic Mini Message Bracelet finished with a small silver plated sentiment stamped happy bee charm and glistening silver beads to create the prettiest summer pieces. 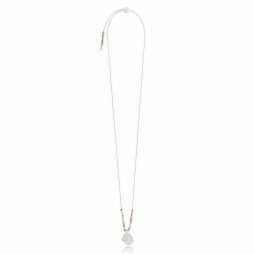 Joma Jewellery Pretty Pebbles Silver Necklace with Rose Gold Element. 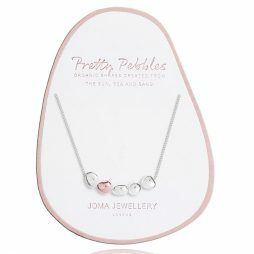 Perfectly pretty in every way, the brand new new Joma Jewellery Pretty Pebbles necklace features 4 smooth organic shaped pebble pieces in a shining silver and a single radiant rose gold pebble on a dainty silver plated chain to add classic chic ever time to wear it. 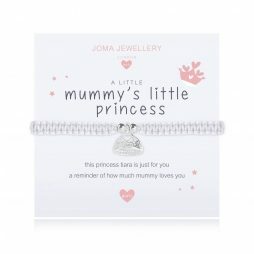 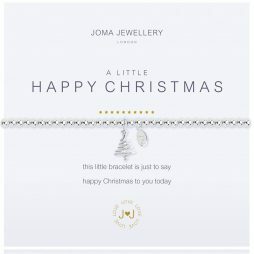 This Joma Jewellery A Little Happy Christmas Silver Bracelet features a beautiful little Christmas tree with a cz charm hanging from a stretchy 3mm silver ball bracelet with the words “This little bracelet it just to say Happy Christmas to you today”. 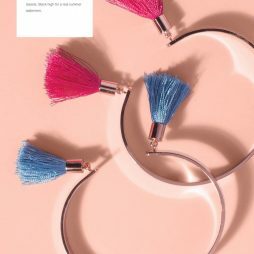 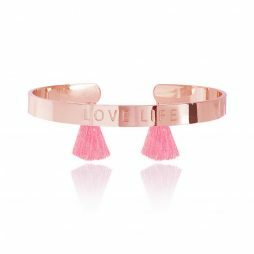 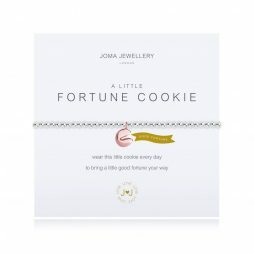 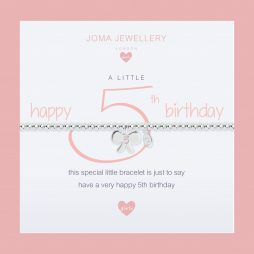 This new Joma Jewellery bracelet is the perfect gift for any celebration. 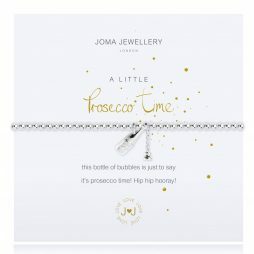 This Joma Jewellery A Little Prosecco Time Silver Bracelet features a 3mm silver plated stretchy design bracelet with a champagne bottle with cork on a chain charm. 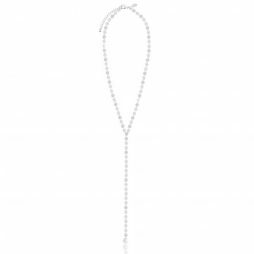 With the words ‘This bottle of bubbles is just to say its prosecco time! 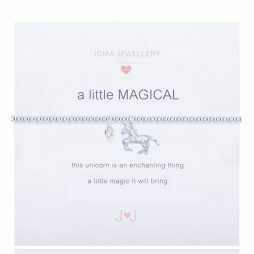 Hip hip hooray!’ on the presentation card.